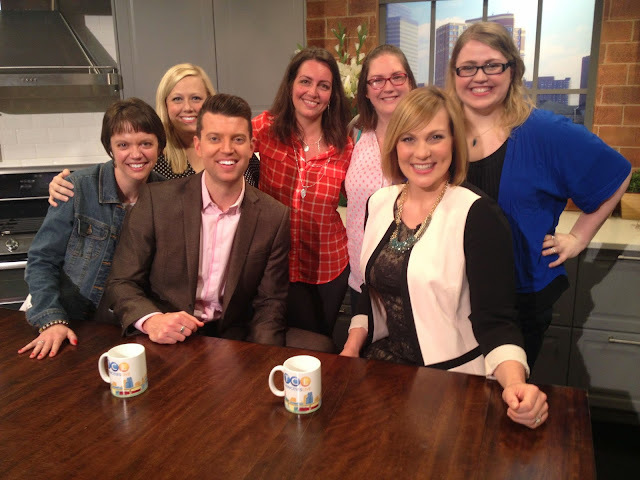 Yesterday was the Twin Cities Live Top Blogs show and it was so much fun to be in the audience! I have never really seen a TV show filmed up close before, so this was a really neat experience! Before the show, a few friends and I met up across the street from the studio at Cupcake - because you can't be that close to Cupcake and not stop in for, well, a cupcake. 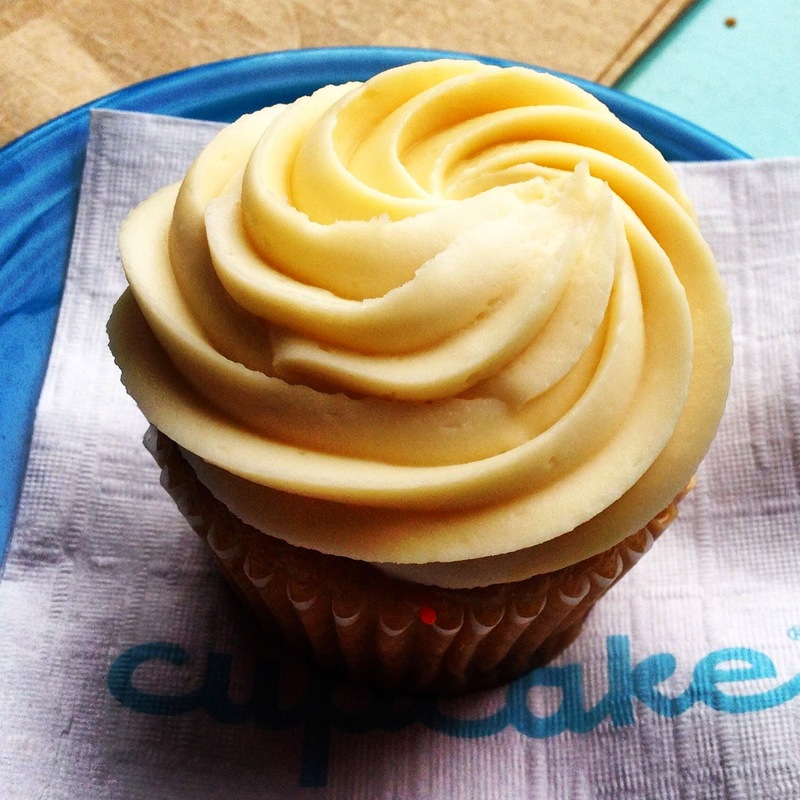 I had a dulce de leche cupcake and while it was sweet enough to make my teeth hurt a little, it was delightful. 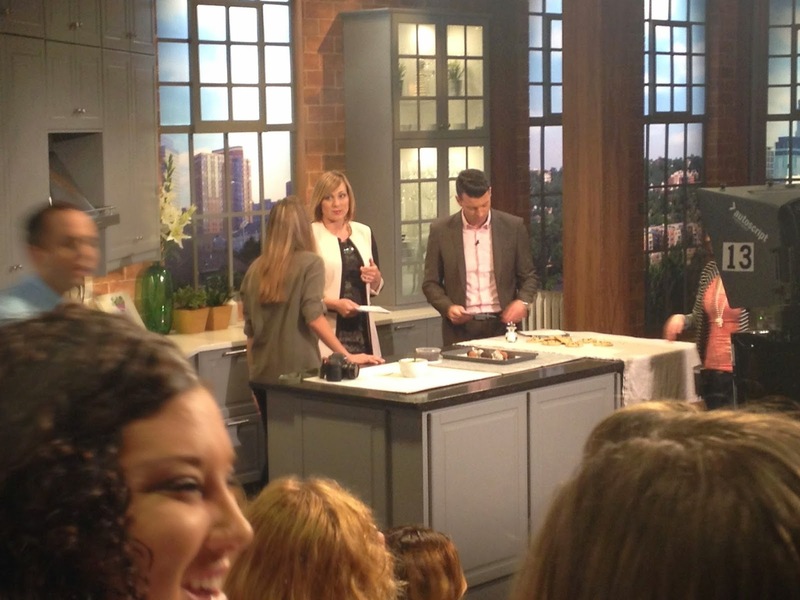 We then made our way over to the studio where we got to have a social hour with all the other bloggers who were going to be in the audience. The producer of the show also explained what would be taking place during the taping and answered any questions we had. He then escorted us out into the studio. I was surprised to learn just how small the audience section is. 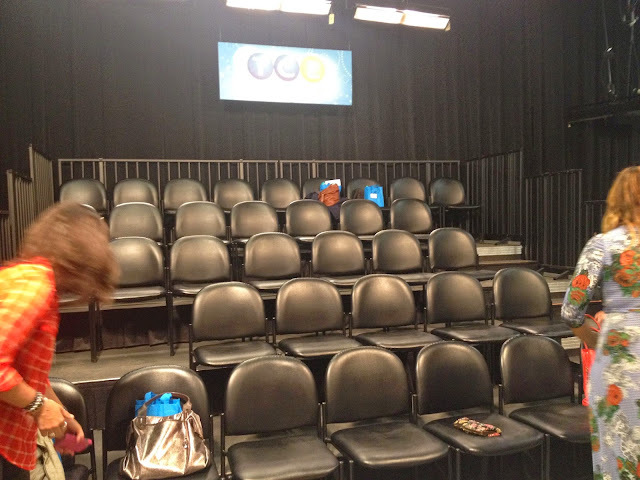 As you can see, not a huge area of chairs. I'd say there was maybe 30 of us total? I didn't really get a chance to count. We each got a goodie bag of items to take home with us too. 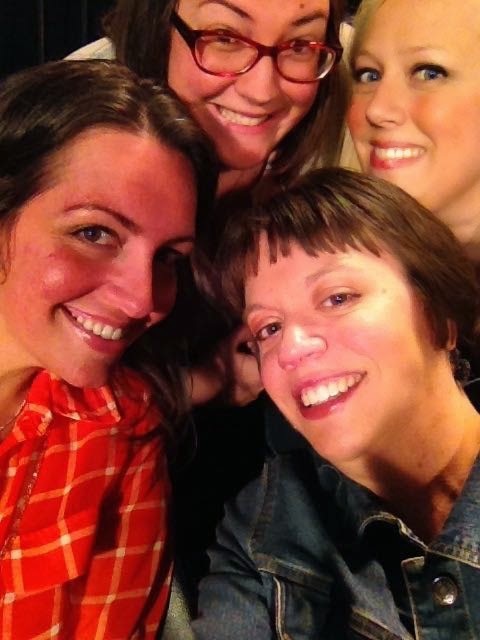 Before the show started, a few of my girls and I were in perfect position for a selfie, so of course we had to do it because what kind of bloggers/Instagrammers would we be if we didn't? I think ours is cuter than the Ellen Oscar selfie. We were encouraged to take pictures and use Twitter/Facebook/Instagram what have you during commercial breaks. We were also given directions on how to clap (faster than you normally would) and that it's ok to react to what's happening on stage. And then they brought out hosts Steve Patterson and Elizabeth Ries and started the show. The set is warm and cozy feeling and it has a nice feel. Steve and Elizabeth kicked off the show with their host chat and then throughout the show they featured several different blogs that have kind of "made it big" in different ways and it was neat to hear each story and what they've done to get their blogs off the ground and turn them into a business venture. They also had a panel of expert bloggers that they feature on their show on a regular basis and they also gave out some good tips and information as well. The hour seriously flew by and pretty soon it was all done. 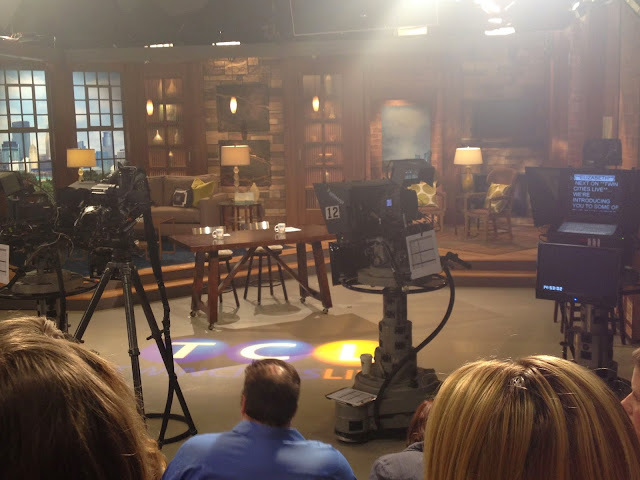 After the show was done we were allowed to wander on set and take pictures if we wanted. 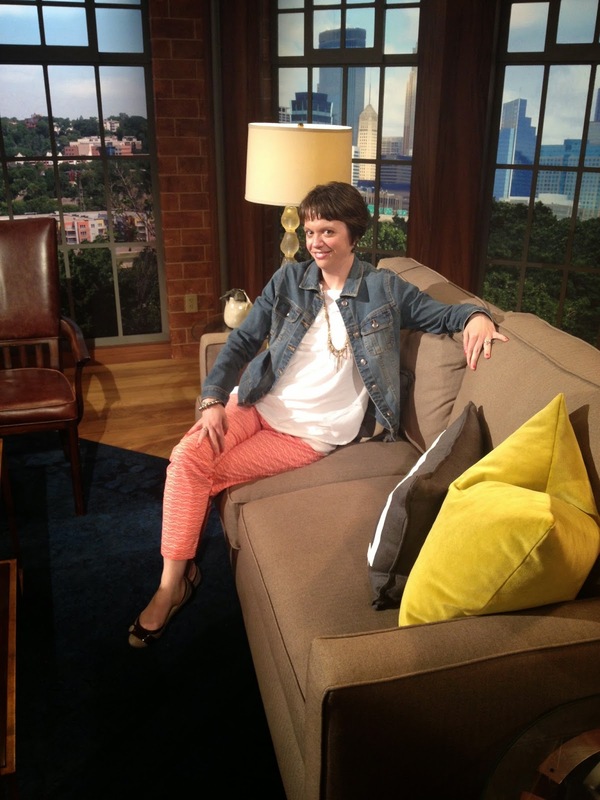 I decided to pose on the couch and pretend to be Elizabeth for a minute. And then my group decided to grab a group photo with Steve and Elizabeth too. They're warm and friendly people - they did a great question and answer session right after the taping was finished too. I sure wish I was home more often and could watch them every day! 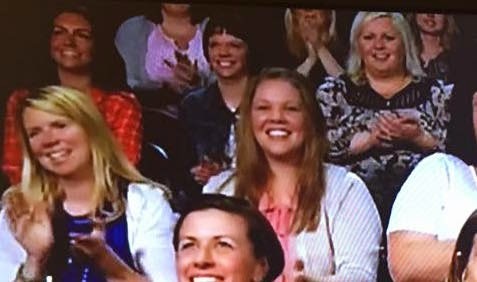 And this last picture I stole from my friend Sara from Writing with Bangles, she DVR'd the show and got some screen shots of us clapping in the audience! So I guess I'm pretty much famous now? 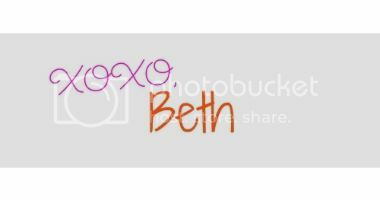 Overall it was a super fun afternoon, it was really neat to hear other bloggers stories and get some of their tips and tricks and it was fun to connect with other bloggers I hadn't met before, as well as get some quality time in with the bloggers I already know! Thanks again to Twin Cities Live for having me!